Kung Fu Panda 2 Blu-Ray! He brings out Kung Fu Panda 2 on bluray. 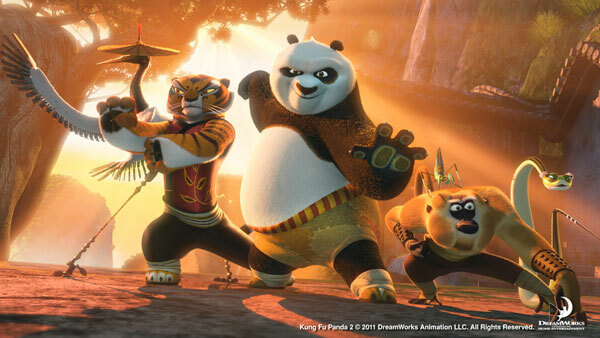 He pulls out a Kung Fu Panda 2 Blu-Ray DVD, now available in TrueHD. Mr. Hong’s surprise is that Kung Fu Panda 2 BluRay DVD that is now available. My favorite is Po, always! He has a copy of Kung Fu Panda 2 on Blu Ray! Mr. Hong has Kung Fu Panda II on blu ray!! Awesome! My favorite character is Master Monkey! Po is my fav character. He is so cute and funny. My favorite Kung Fu Panda 2 character is Po! He tells the children that Kung Fu Panda 2 is being released on Blu-ray featuring Dolby TrueHD 7.1. Mr. Hong has a copy of KungFu Panda 2 in Blu Ray DVD as a surprise for the children in the video. Kung Fu Panda 2 in blu-ray was the surprise! A Kung Fu Panda 2 DVD, Dolby sound rocks! blue ray. The surprise is that he’s giving them the Kung Fu Panda 2 movie on DVD/BluRay. The surprise is Kung Fu Panda 2 on DVD! My favorite character is Master Shifu. Po is my favorite character, of course. A BluRay version of Kung Fu Panda 2. I love them all but my favorite character has got to be Mantis. My favorite has to be Po of course!! Tigress is the fav around here.